Don’t know why I have been in such a purple mood lately but here is another one. The flower & green vines are Sizzix. 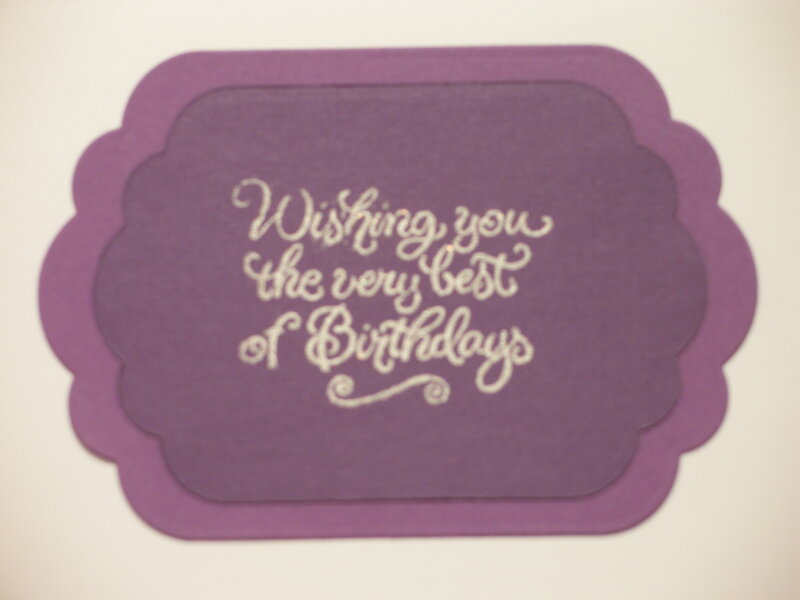 The happy birthday I cut out with my Cricut after designing it using my Gypsy. The cartridge is Gypsy Wanderings. 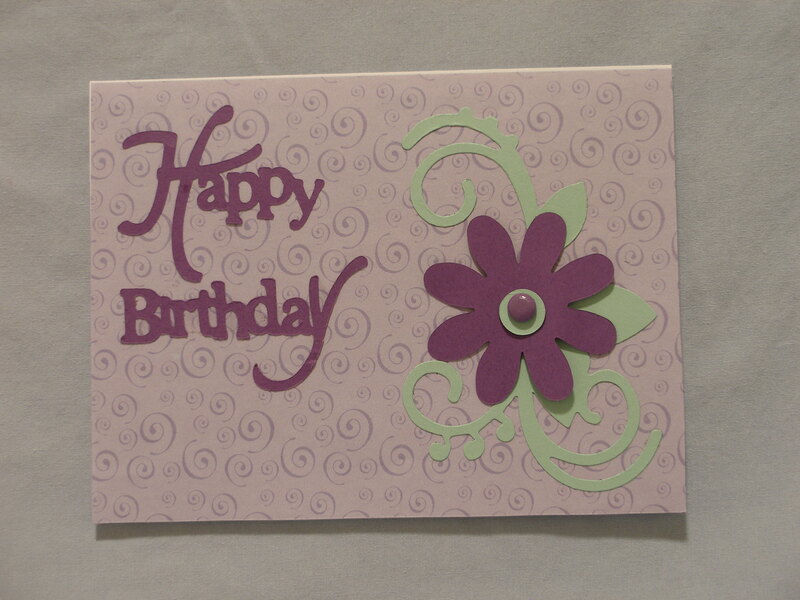 I used the center green dot that die cuts out with the flower & attached it using a large purple brad. The background paper is by Pazzaz. Wishing you the very best of Birthdays stamp is by Hero Arts. Since I stamped the sentiment on a darker purple than I used on the outside I double mounted it using the lighter outside purple.